Are you ready for Spring? Need a fun party treat? 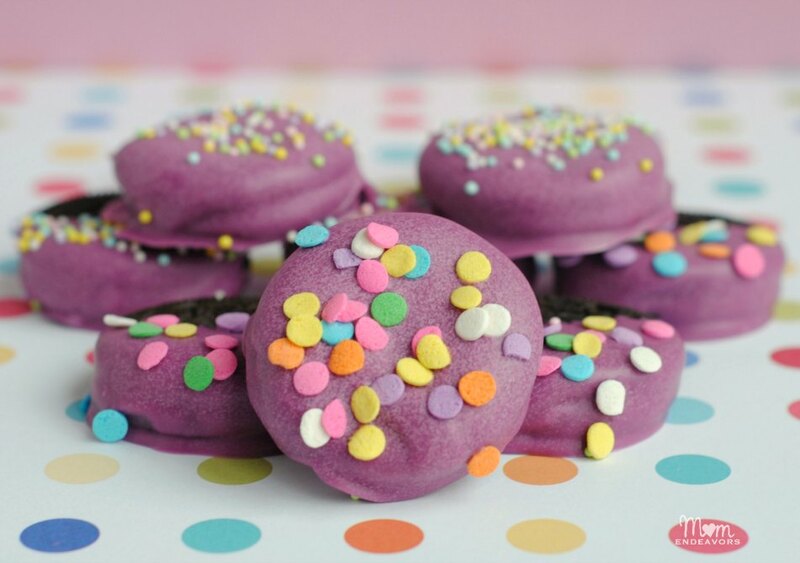 These purple chocolate dipped Oreos really could be made just about anytime of the year, but I think they really are just perfect for a springtime party! Maybe even for a fun Easter celebration?! If you’ve never made dipped Oreos before, it’s SOOOooo easy! You just need a few ingredients and a little bit of time, yet the results can look so fun and fancy! Melt the Wilton candy melts in a microwavable safe bowl stirring in 30 second increments until completely melted. Once melted let cool 1­2 minutes. 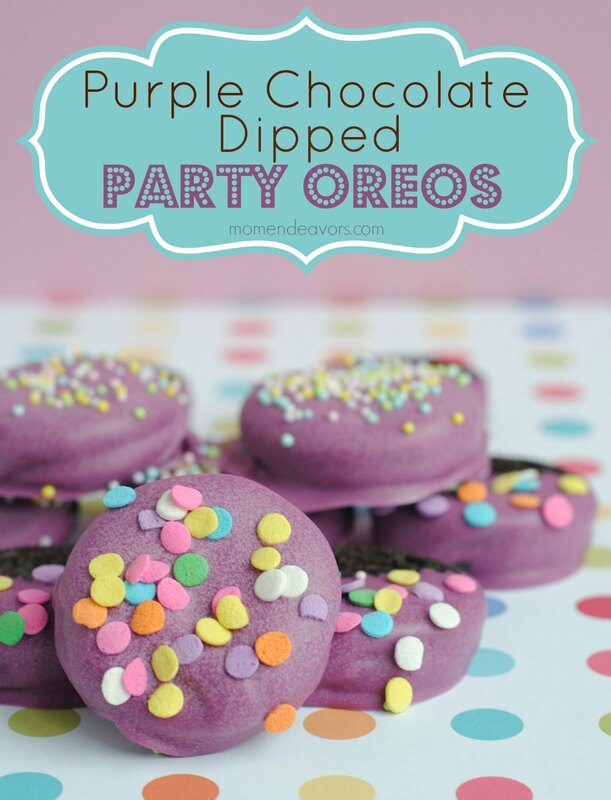 Dip the Oreos one at a time in the purple chocolate completely coating them or coating just half (depending on how you want them. Place on a cookie sheet (lined with wax paper is helpful) to set and sprinkle with nonpareils. That’s it! Easy, festive, and fun! 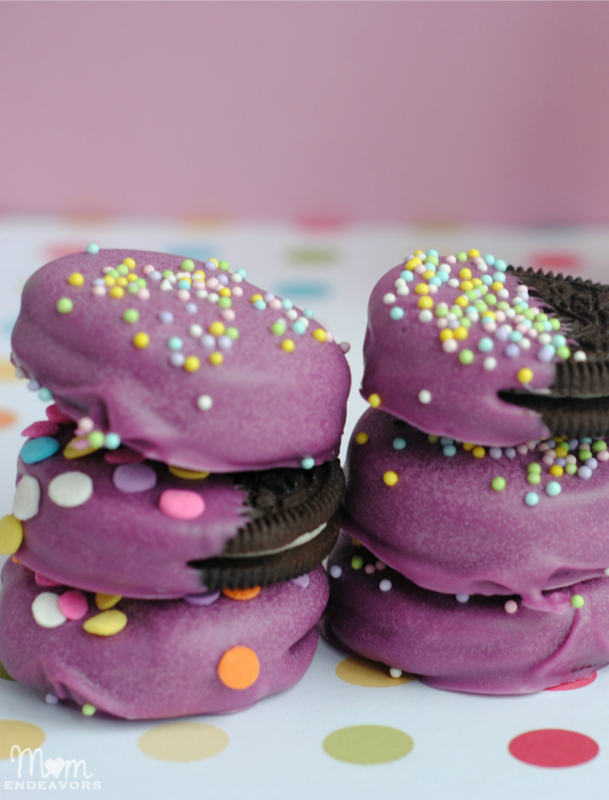 What event would you make these Oreos for? Easy and delicious! Home run! The grandsons would LOVE these. Going to have to have them for Easter. Thanks.